… You’re totally and utterly proud of your team because they do an amazing and incredible job in changing the lives of young people. 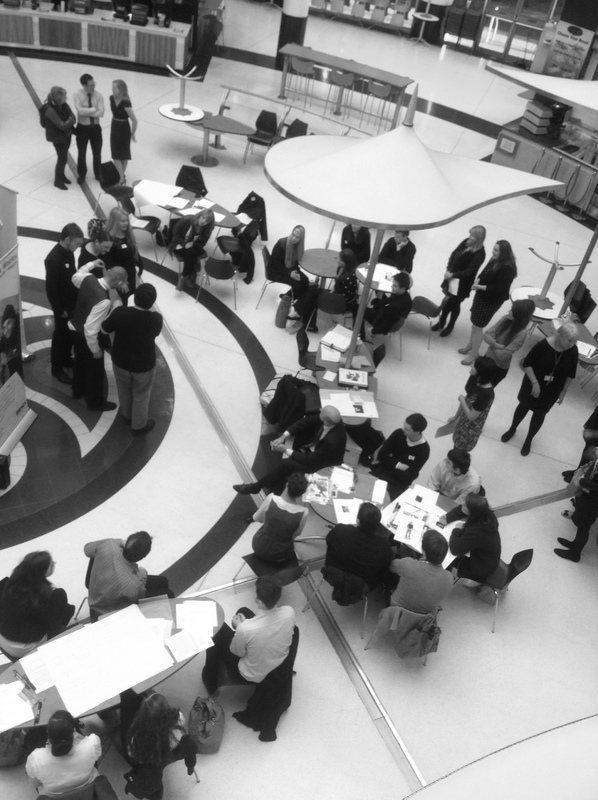 My team were running an event to bring our young people into contact with local employers… In the middle of a shopping centre. The idea is to support young people into training and employment. And these events work! They take a lot of hard work, they involve a lot of time, but they work! Today saw young people who would never normally stand up in front of a group, presenting to visiting employers. Today saw young people who would never normally wear a suit, wear the smartest clothes they could muster. Today saw confidence gained, inspiration gathered and lives begin to change. The hard work was worth it. And as a manager, these days are some of my proudest moments. I can’t even take credit for them, because it’s all down to my team and the young people themselves, but still, I can’t help it. I’m proud. And I find it challenging. Because as Christians, as the people of God, we should love people with an inspirationally crazy-zealous-go-the-distance kind of love that is so radically different and all encompassing from everyone around us. The love of God should change things. It should change everything. And sometimes, I think we’re put to shame a little bit by the way that those who aren’t Christians, and don’t go to church, and who haven’t been impacted and changed by the love of God, actually go further in their acts of love. Don’t get me wrong, I know some Christians who inspire the deepest parts of me in this way. Some of my best friends humble me with their kindness, with their actions and with their love. But sometimes I think the non-Christian world provides a challenge to the church. When my team run events together we are united in purpose and passion and actions. And the body of Christ should be joined by a love that is more real and all-encompassing than that. Because it’s God’s love. And His church. I’ll be honest, this week at work I’ve been a little-bit-worried. I’ve been reviewing the budget. Some things have been a bit more expensive this year, some things haven’t quite gone to plan, and it’s been weighing on my mind. But I really gave this over to God in my prayer time yesterday and just decided that leaving it with Him was the safest place. I left that place of prayer with faith. And then this afternoon, one of my funders phoned. Long story short… The budget should balance just as it was forecasted to do. And then I had a phone call from another organisation I work with. I had written them a reference for some funding. And they were granted it today. So going into this event, I was already encouraged. And already challenged. That the same God that I have such faith in for my job each day, and the same God who does such incredible miracles of provision, and the same God who has always been faithful to every promise He has ever made… Is the same God who calls us to live out His inspirational love in and through the church. Because the hard work of love is surely always worth it. And I’m going to miss my team! ← Brie, crackers, and thousands of words.